The blackberry curve 8900 LCD screen looks almost the same with the blackberry tour 9630 LCD screen except for the flex cable ribbon. There are two tiny hollow holes on the ribbon of the blackberry Curve 8900 LCD screen while the blackberry tour 9630 LCD flex features no hole. 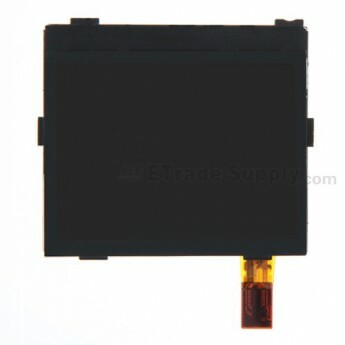 Besides, the color of 8900 LCD screen is brighter than the 9630 LCD screen. Currently the blackberry curve 8900 LCD Screen is only available in one version with the code16693-002/111. The blackberry curve 8900 glass lens and the LCD screen is adhered together as a unit, so please put a protective on the glass lens in order to prevent it from being scratched. There are currently two varieties in the market, OEM Brand New and OEM Reclaimed. Both units are guaranteed 'A' Stock. We have strict Quality Control procedures to ensure you receive a fully functioning, 100% satisfactory product. ETrade Supply has established the ISO9001 certified QC procedure. For each blackberry curve 8900 LCD screen, we apply strict cosmetic inspection and functionality test process before packaging and transportation. 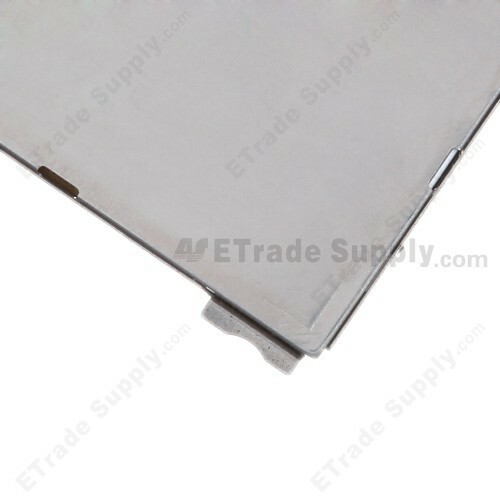 We also invent our own super-protective packaging method to give the maximum protection to the blackberry curve 8900 LCD screen. Apart from this part, ETrade Supply also supplies other replacement parts of blackberry curve 8900. 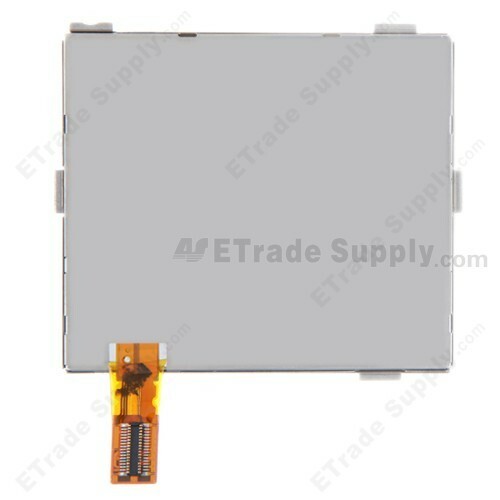 The blackberry 8900 LCD flex cable ribbon features a small iron sheet on the top. A yellow sheet is used to fix the iron sheet prevent the flex cable being damaged by the iron sheet. Please don’t remove it during installation. The blackberry 8900 LCD screen comes with a buckle on the top of the flex cable ribbon that should be fastened to the port on the motherboard. Make sure that the buckle and the port are properly aligned before pressing the buckle to fasten it. If not, both the two parts may be damaged.